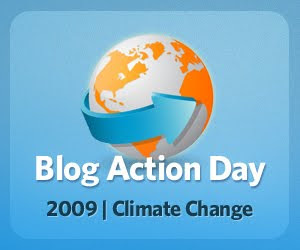 Blog Action Day is an annual event held every October 15 that unites the world’s bloggers in posting about the same issue on the same day with the aim of sparking discussion around an issue of global importance. Blog Action Day 2009 will be one of the largest-ever social change events on the web. At the moment I am writing this post 8192 blogs from 145 countries and 11,799,400 readers have been registered and participate! First and last, the purpose of Blog Action Day is to create a discussion. Bloggers are asked to take a single day out of their schedule and focus it on an important issue. By doing so on the same day, the blogging community effectively changes the conversation on the web and focuses audiences around the globe on that issue. Out of this discussion naturally flow ideas, advice, plans, and action. In 2007 on the theme of the Environment, bloggers were running environmental experiments, detailing innovative ideas on creating sustainable practices, and focusing their audience's attention on organizations and companies promoting green agendas. In 2008 Poverty was the theme, and similarly focused the blogging community's energies around discussing the wide breadth of the issue from many perspectives and identifying innovative and unexpected solutions. 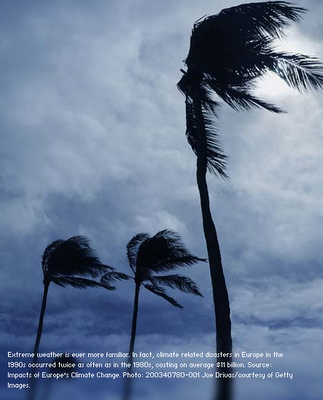 This year the aim is to do the same for Climate Change, an issue that threatens us all. I dedicate this post then to Design Can Change. An effort to bring together the world's graphic design community to address the issues surrounding climate change. While it is a complex and sometimes contested topic, nevertheless it cannot be ignored. 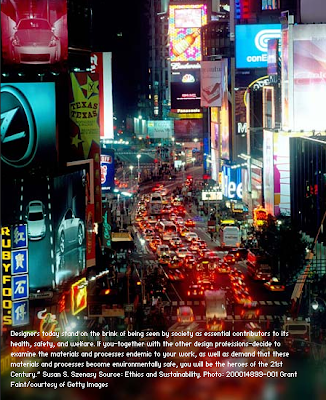 Designers in particular must examine how our practices impact the environment. Acknowledging the problem is the first step. As designers (and this is true for all areas of design) we have great abilities and can group together to make a collective difference. It is important to consider all the parties we can work with and how we can all lend a hand. Some of you may ask why should designers be concerned with climate change? Leave this to the politicians and social groups. But we beg to differ: designers are so close to the issue that are better placed to be able to make the difference. Designers often characterize ourselves as problem solvers. If so, then how about applying this to climate change? As the public has come to accept the importance of good design and demand it in almost every facet of their lives, our efforts as designers are pivotal in shaping the world around us. Design Can Change works with the notion that we can collectively encourage substantial change. By utilizing our ability to effectively communicate and build interest, we can generate awareness and further the cause to end global warming. Designers are the hub connecting companies to customers. Additionally we steer lots of work to various sections of the construction industry, printing industry, and various suppliers of every possible resource. So what can we do? Implement sustainability in our work - from the way our practices work to our final products to making our collaborators and partners aware of it and suggest to implement it themselves. By choosing to work with people who are environmentally aware in their work too. Sustainability is becoming the most important addition to the creative brief. As much as we might not like to admit it, many designers aren't prepared for this. We've been busy working on our skills, learning about brands, adapting to new technology, and keeping our studios alive during some lean times. Also note that sustainable practices in design do not have to be costly. In fact, smart designers leverage efficient ways of working that often reduce costs to organizations. Today most major brands have added sustainability to their business agendas because they recognize it is a competitive advantage and a key to continued success. From a position of self-interest alone, you really have to start thinking green. So if the above have started to convince you a bit, go to DesignCanChange page, and take the pledge. From then on, lots of tips for changing your studio, raising awareness and making a difference will follow. 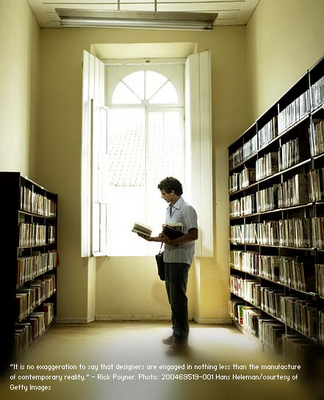 Images and text courtesy of DesignCanChange and Getty Images. Everyone else go make one too!